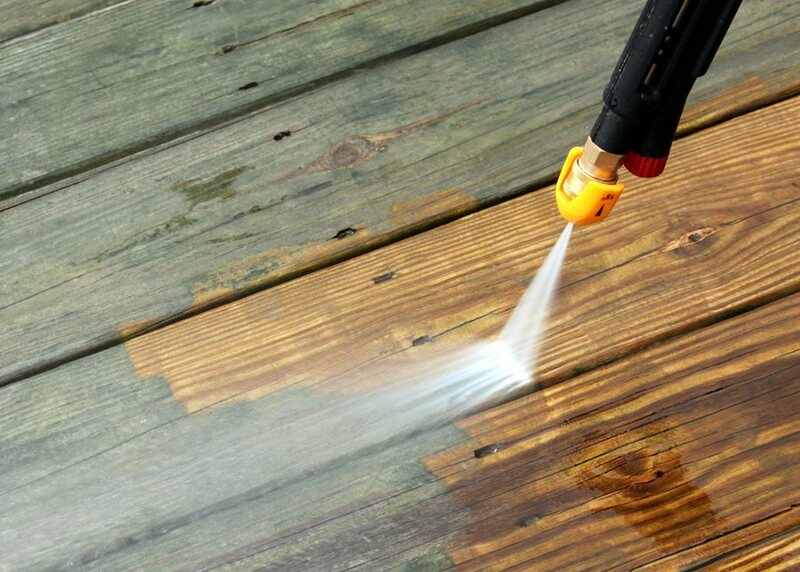 A power washer can be used to clean wooden decks. 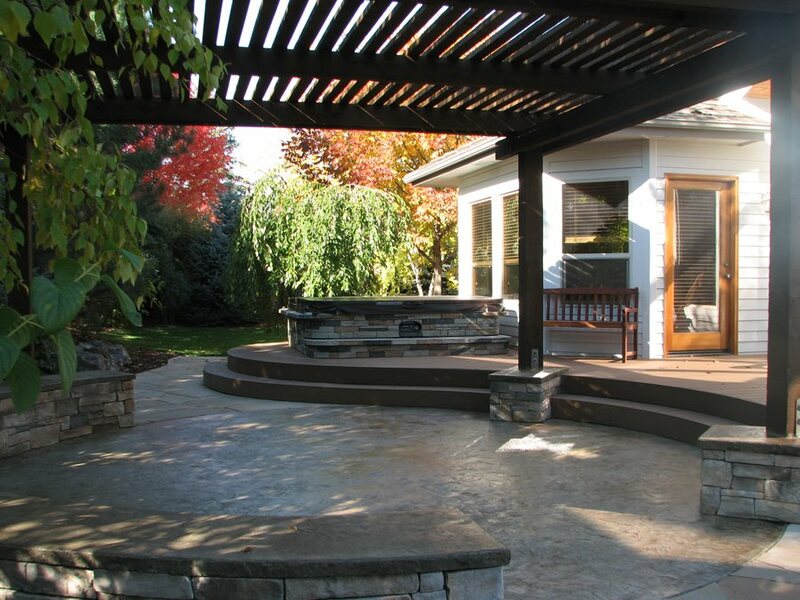 Pressure-treated decks are the easiest to repair when scratched or gouged. Simply sand out the scratch and re-stain for a finished look. It’s important to keep fall leaves and other debris from piling up on your deck, since that can cause mold or algae to grow. 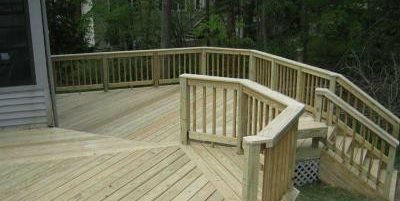 Dings, scratches and stains are the most common things you’ll need to repair on your deck, and ease of repair varies widely depending on the materials you use. 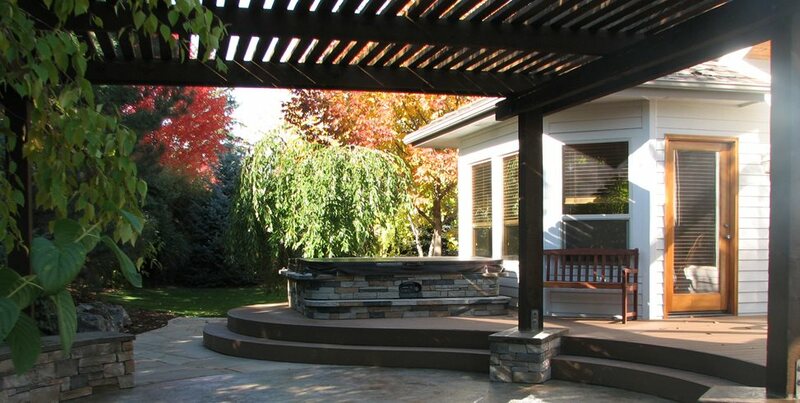 Here’s how to repair simple cosmetic issues on each type of decking material. — These types of wood are remarkably easy to work with when you get a scratch or gouge on the surface. 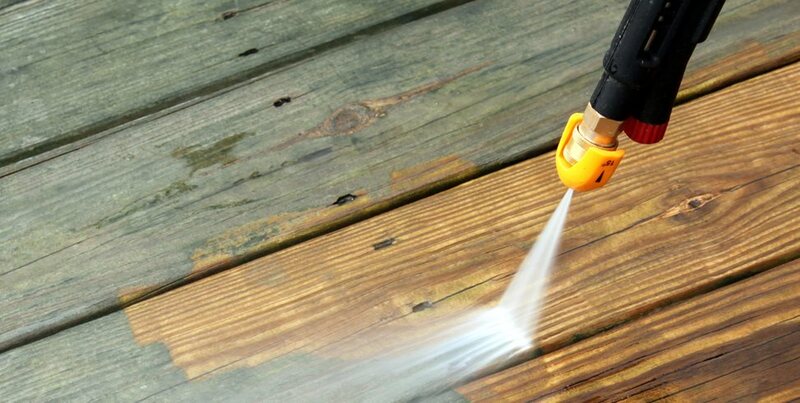 All you need to do is sand the board until the stain, scratch or gouge disappears and then re-stain, paint or seal the deck to give it a finished look again. 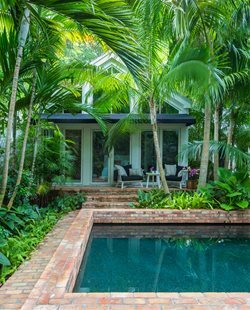 —Tropical hardwoods are so dense that they rarely have significant scratching issues. 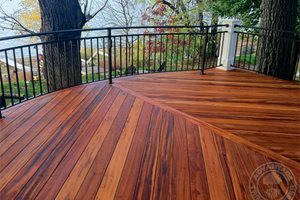 However, “the wood reacts with any metals that aren’t stainless steel, so if your patio furniture doesn’t have a protective cushion on the foot or if other types of metal rest against the deck surface, the wood can develop unsightly black oxidation stains,” says Dan Ivancic of Advantage Trim & Lumber Co. in Buffalo, NY. Luckily, “pressure washing removes most stains,” he says. —Many of the older composite materials have a brushed surface which makes it easy to sand out any scratches. However, these materials do not resist stains as well as newer capped composite materials, so if you have a stain that won’t come out with either soap and water or a specialized solution such as Corte*Clean Composite Cleaner, your last option is to flip over the board to the other side, or replace the board. — Many of the newer capped composite decking materials are exceptionally resistant to scratches and stains, so this isn’t an issue you should have to deal with often. However, dropping a heavy item such as the claw head of a hammer can create a gouge, and dropping anything that’s very hot can also mar the surface by melting it. TimberTech, a composite manufacturer, recommends you use the tip of a clothing iron on small scratches, to re-melt the plastic and smooth the surface. If more serious intervention is needed, board replacement is next, because most capped composite boards are one-sided. 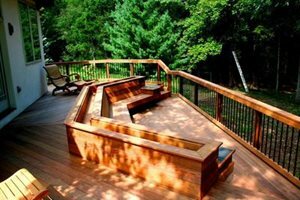 It’s important to regularly maintain your deck, not only for aesthetic reasons, but also to keep it structurally sound and free of slippery mold or algae. 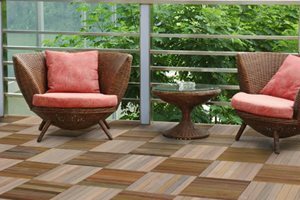 Most types of wood decking require cleaning and either staining or oiling every one to two years, while composite decking requires little care beyond cleaning to continue looking sharp. The cleaning and care process is different for each material. 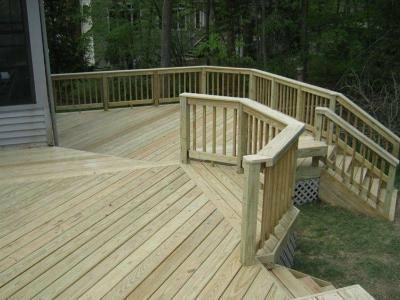 —These types of wood decks require the most maintenance. Baron Biedenweg of Archadeck of Fort Wayne in Ft. Wayne, IN recommends cleaning, lightly sanding, and staining or sealing every one to two years. It’s also important not to let leaves or other debris pile up on your deck, since that can make deck boards slippery and encourage rot. —With traditional brushed composite materials, the maintenance consists of keeping your deck swept and free of debris, and using a cleaner once a year in either spring or fall. TimberTech recommends Corte*Clean Composite Cleaner for their Traditions line of composite decking. Corte*Clean is an environmentally friendly cleaner which is available at big-box stores and online. 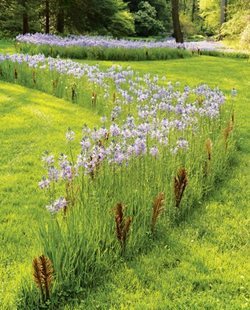 —Newer capped composite products such as the TimberTech XLM line are extremely low-maintenance. 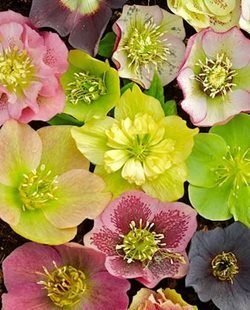 Just hose down the deck as needed and spot clean occasionally with soap and water.